Top 10 Reasons to Commute by Bike! The Top 10 Reasons to Commute to Work via Bicycle. 10. For one week a year, I get free coffee. Many local businesses participate in National Bike Month and National Bike to Work week. 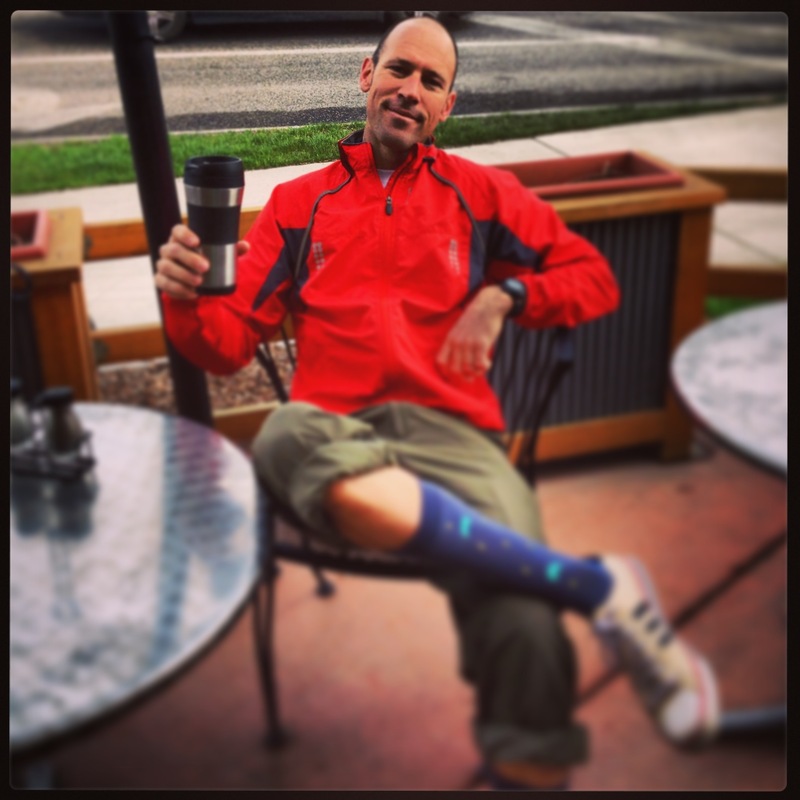 Here I am enjoying a free ‘Cup of Joe’ at the Sola Cafe. In some cases, depending on how far you live from work, traffic patterns, and your parking situation, it’s often quicker to ride. I love it when I get to bypass traffic, not have to search for a parking spot, and roll right up to my building. The U.S. could save 462 million gallons of gasoline per year by increasing cycling from 1% to 1.5% of all trips (Source: Trek Bicycles). Multiply that by $3.40 per gallon. That’s a lot of coin! What will you do with all that money you’re not spending on gas? 60% of the pollution created by automobile emissions happens in the first few minutes of operation, before pollution control devices can work effectively, and 40% of all automobile trips are within two miles of the home. (Source: Trek Bicycles). The only thing that bicycling burns is fat. 26,000 people across the country taking part in the National Bike Challenge have already saved 631,000 pounds of CO2 emissions in just two weeks of riding. Our MUS Wellness Team is responsible for saving 455 pounds of auto emissions so far! Way to go Team! Rockin’ my Space Invader socks for the morning commute. More and more research links exercise to improved cognitive function. If you want to think better, move more. Case-in-point: I thought of this blog post on my ride in. 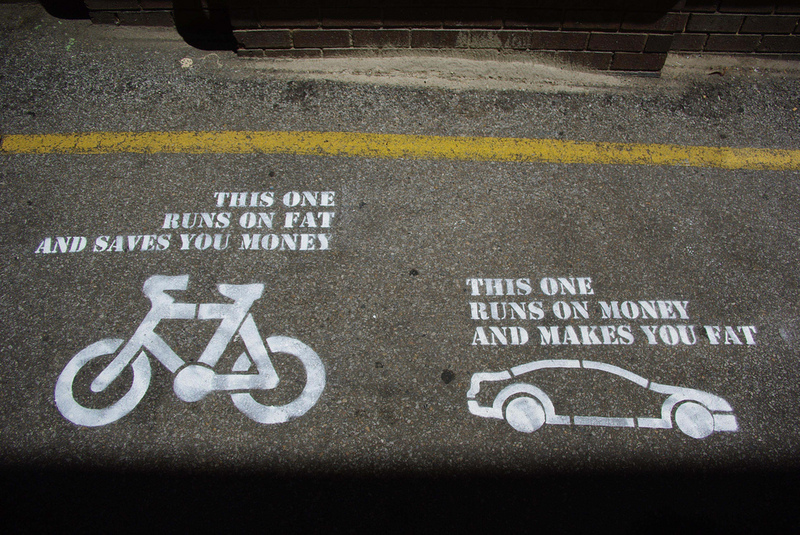 The average person loses 13 pounds their first year of commuting by bike. Wow! (Source: Trek Bicycles) That’s because riding at a moderate pace burns around 500 calories per hour. Just three hours of bicycling per week can reduce your risk of heart disease and stroke by 50%. (Source: Trek Bicycles). Reminder: Heart Disease is the Number 1 killer in the U.S.
And the Number 1 reason to commute by Bicycle: It’s Fun! Remember when you learned to ride as a kid? Remember the thrill of movement and the freedom to go anywhere? It’s still there! Biking is Fun! 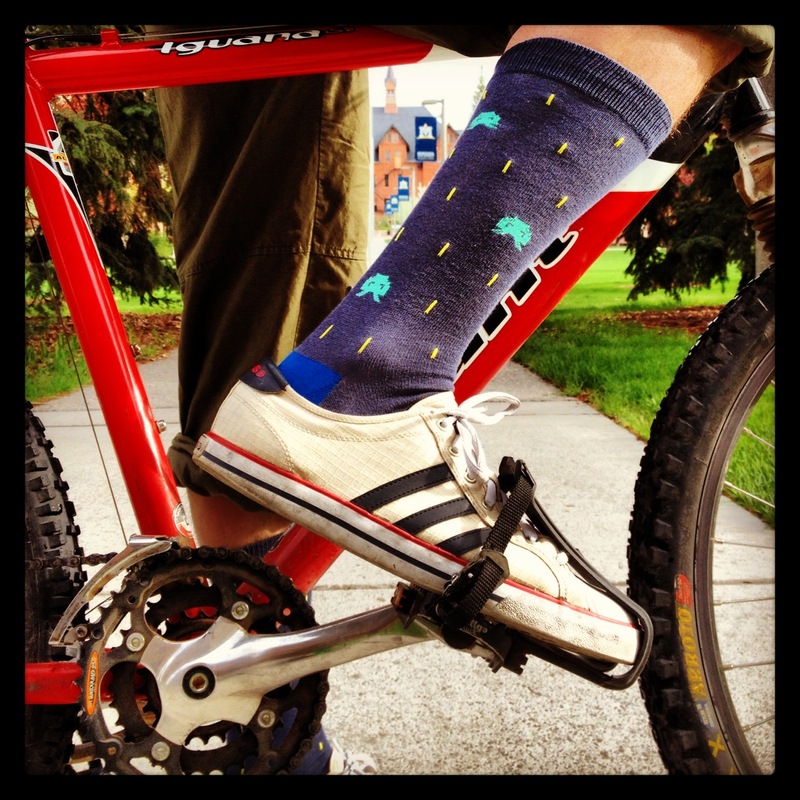 Montana Moves wishes you Happy Bike Month and safe travels! Ride aware, wear your helmet, and have fun! Cycling makes me feel good! I can’t imagine my life without my bike.